A Pakistani roadside favourite of a masala fried egg with a hint of chilies and garam masala on a toasted soft bun with lettuce, tomato, onion, and delicious cilantro-mint mayo. 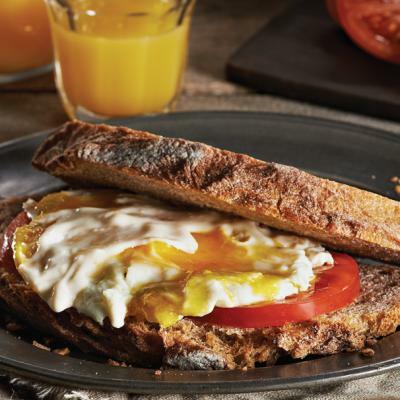 Great as a breakfast sandwich, lunch, or a snack. In a blender or food processor, mix together all chutney ingredients, except mayonnaise. Blend until smooth paste. Remove to a small bowl and mix with mayonnaise. In a non-stick skillet, heat 2 tsp ghee or butter on medium-high. Toast the two buns on both sides. Set aside. In the same non-stick skillet, heat 1 tsp ghee or butter on medium-high. Crack egg and add to hot pan. Sprinkle with garam masala, chili powder and salt to taste. 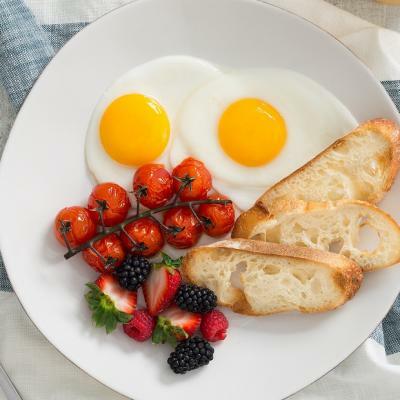 Cook egg for a couple of minutes or until yolk is cooked to desired doneness. Repeat the above with the second egg. 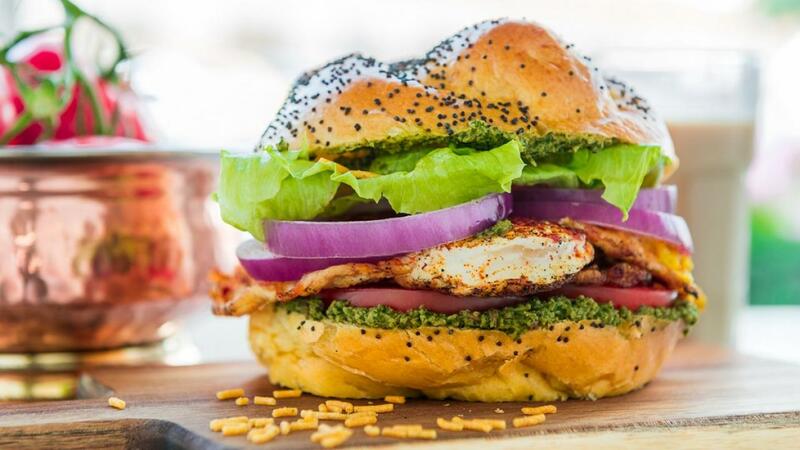 Spread cilantro-mint mayo on both sides of each bun. 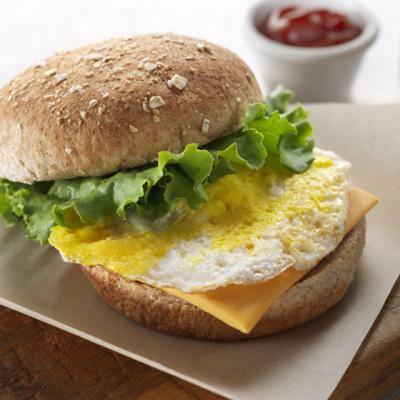 Place a fried egg on each bun with tomato, lettuce, onion and a sprinkle of sev for a crunchy bite. For this recipe choose a soft egg bun. The cilantro-mint mayo will serve up to 6 servings. It will store well in refrigerator for up to 3 days.